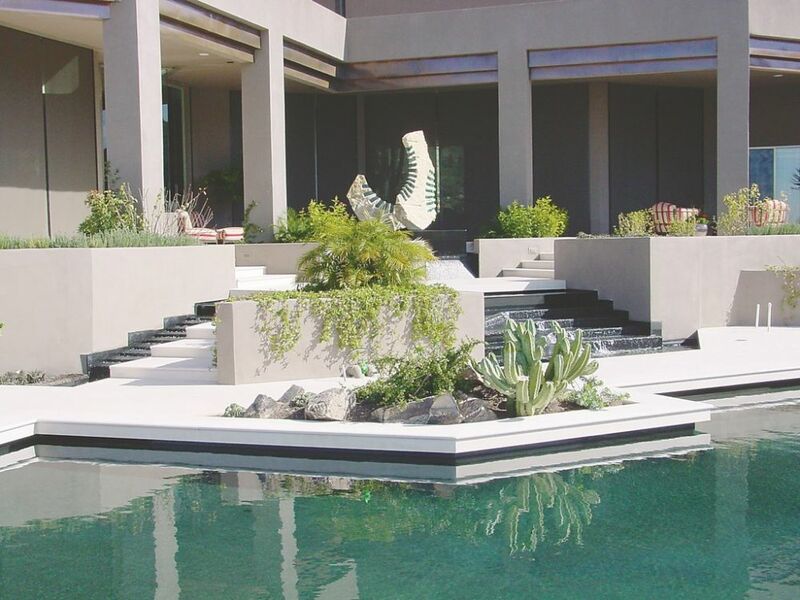 This project exemplifies the power and beauty found in combining modern sculpture and architecture with well-considered watershape design. Steve Oliver deftly uses repeated shapes and visual themes to draw the viewer’s eye deeper and deeper into the space and right on through to the desert beyond. 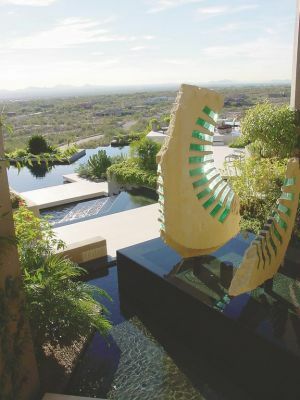 In the process, terraced decks, cascades, intricate vanishing edges and unusual concrete-and-glass sculptures on wetted pedestals have all been woven into a contemporary outdoor tapestry.